Rent Spazio Westport | Corporate Events | Wedding Locations, Event Spaces and Party Venues. A unique banquet space perfect for your event. Managed by Russo’s Catering which has provided over 50 years of award winning catering in the St. Louis area. Join us for Lunch at the Bistro or for Spazio After Work Specials. Recently awarded The Knot “Best of Weddings”, Spazio Westport is not your typical banquet space. The Bistro features a modern open ceiling, ceramic flooring and a large natural wood bar. The Garden Room is a two tiered room with natural lighting from stained glass windows and the connected outdoor patio. Our more traditional Ballroom features recessed lighting, carpeted floor and contrasting crown molding. All rooms include integrated Audio / Video to showcase your wedding slideshows or video. 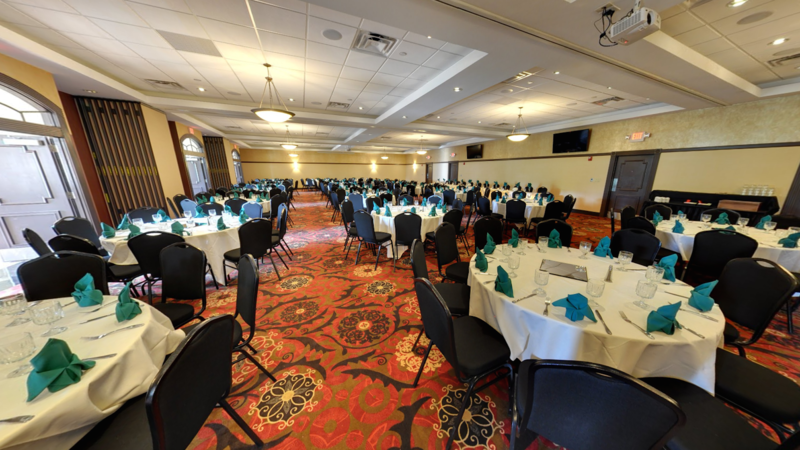 Spazio is the prefect venue for your wedding reception or rehearsal dinner.